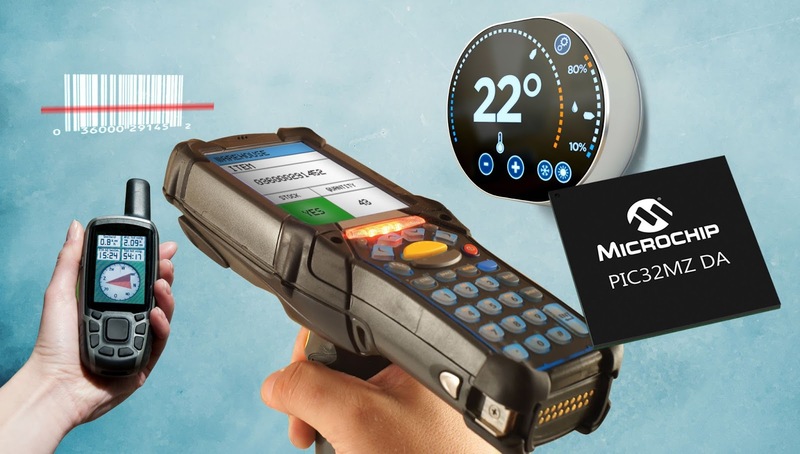 Microchip has launched a microcontroller (MCU) family with an integrated 2D Graphics Processing Unit (GPU) and up to 32 MB of integrated DDR2 memory, which it claims in the first in the industry. Several other microcontrollers have integrated 2D graphics, although the large amount of integrated DDR2 memory is highly significant. The PIC32MZ DA's three-layer graphics controller is capable of driving 24-bit colour Super eXtended Graphics Array (SXGA) displays. It can be used with Microchip’s seamless PIC32 and MPLAB development tools with space for large graphics buffers and/or storage for communication protocol stacks. This gives designers the ability to increase their application’s colour resolution and display size, up to 12 inches, with easy-to-use microcontroller (MCU) based resources and tools. It provides MPU-like graphics capabilities with the seamless integration and programming model of Microchip’s PIC32 and MPLAB IDE and Harmony software framework with a visual graphics design environment, custom display driver creation, graphics libraries and an asset converter that can take a custom graphic and optimise it for their chosen display size. The PIC32MZ DA family is supported by Microchip’s MPLAB Harmony Integrated Software Framework, MPLAB X Integrated Development Environment (IDE), MPLAB XC32 Compiler for PIC32, MPLAB ICD 3 In-Circuit Debugger and MPLAB REAL ICE™ In-Circuit Emulation System. The devices vary from a 169-ball BGA, a 176-pin LQFP and a 288-ball BGA for external DDR2 applications up to 128MB of SDRAM. Devices in the family are available today in volume production.